Thanks to the Internet, all brands have a voice. But with so much non-stop noise, very few are heard. Are competitors drowning out your voice? 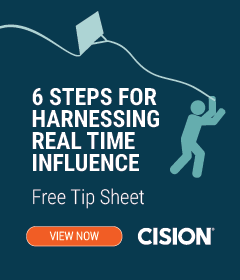 Help your brand stand out with Cision’s “6 Steps for Harnessing Real-Time Influence.” The free tip sheet has the insights needed to reach, engage and mobilize your audience by collaborating with the people who already have their trust and attention: influencers. In real time, brands don’t have time to research which brand advocates will fit the topic they’re hoping to leverage. 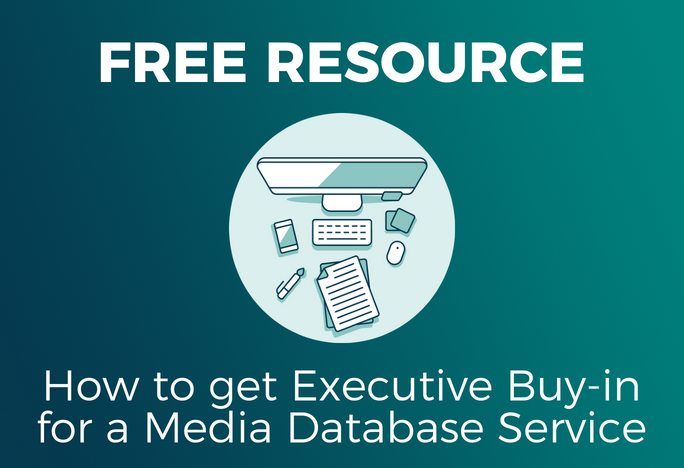 With a media database, brands can ensure they’re already targeting the right influencers for their goals. After pinpointing which influencers to target, you should segment them into different lists. You can organize your options by location, audience demographics or even topic. Then, use the in-depth profiles to learn each influencer’s pitching preferences and begin your outreach. Focus the most time on the ones who are most important to your brand, but keep in mind that the influencers you use for real-time partnerships may not be the same for other efforts. Keep your influencers lists up-to-date and continuously build rapport. You’ll not only be better equipped ask the right influencer to contribute to the conversation, but also be able to reach the right audiences when the perfect opportunity arises. Trending topics, events and incidents often arise without any warning. But with a real-time influence plan and social listening tools, your brand can own the conversation by reacting right away. Uncover opportunities by monitoring which industry conversations are rising in number, what breaking stories are causing your audience to react or even how the media or social users may be presenting and spreading false information. Once you’ve got an influencer on board, monitor how their messages are impacting the conversation. Look at which platforms have the most impact and engage the most users. 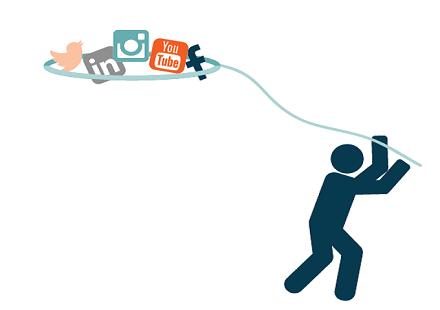 But don’t limit your reach by relying on one platform. Analyze what’s being said about your brand across all platforms to see what type of messaging is working best for each audience. You may even find an opportunity to ask additional advocates to get involved if you notice similar influencers joining the conversation. When you pay close attention to who is saying what and where, you’ll not only be able to pinpoint and lead a trending conversation, but also gain trust and authority from those following what’s being said. While an integrated PR solution will help build rapport and monitor conversations, communication professionals must also rely on their creativity and industry knowledge to succeed in building a successful program. 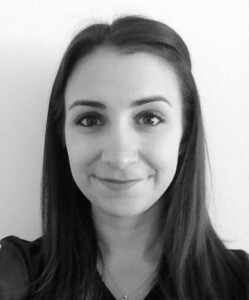 Get even more tips and insights from Cision’s own Stacey Miller for a full understanding of real-time influence.